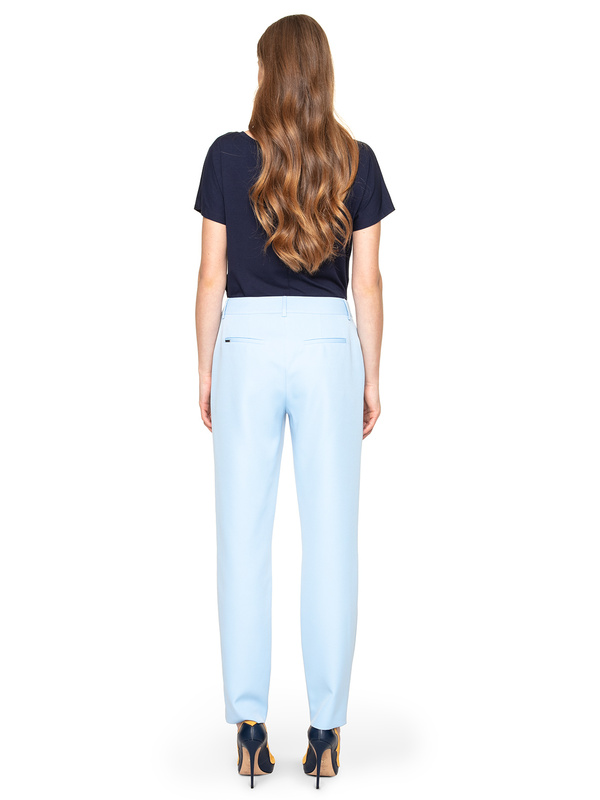 Elegant trousers in a fashionable holiday colour. They will bring a little summer to your office styling! 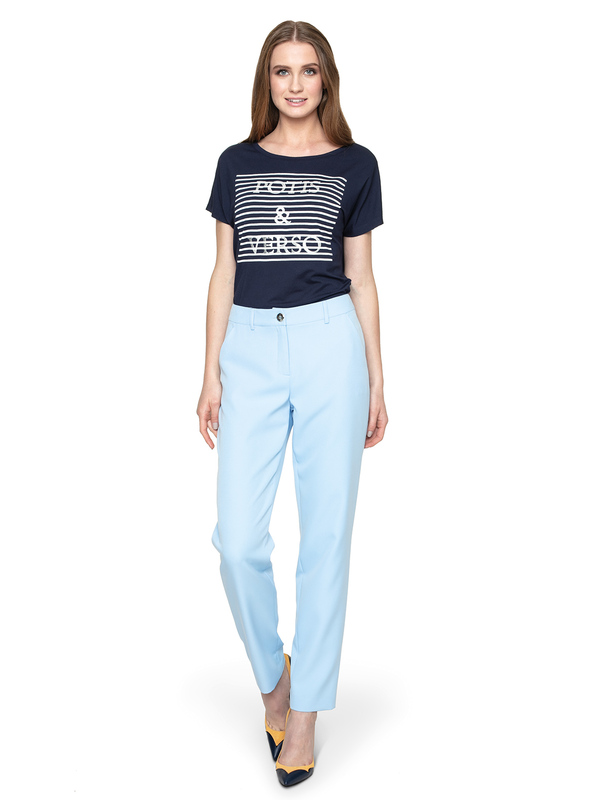 Pastel pants will be a strong, distinctive accent of any style. The Monica model has a high waist, a marked belt and loose, slightly widened legs. The length of the trousers reaches up to the ankles. Trousers will look impeccable in the company of a jacket from the same collection. Put a white, elegant shirt under the jacket. 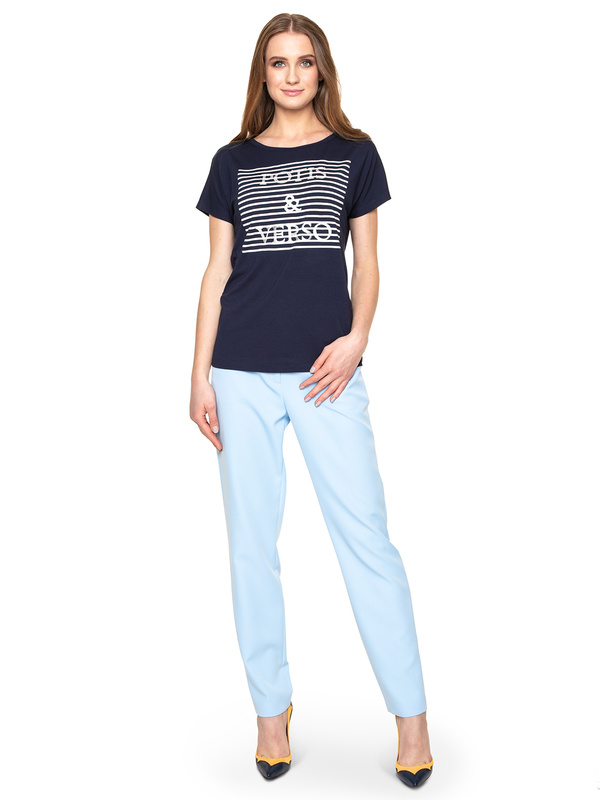 If you want to add a bit of slack to your style, choose a printed t-shirt (e.g. Daisy by Potis & Verso). Put your favourite light high-heeled shoes or leather high-heeled boots on your feet. Match the set with a small bag in navy blue.